The president's historic phone call with Rouhani could be a turning point -- or just another failed attempt at diplomacy. Or it could be another missed opportunity. 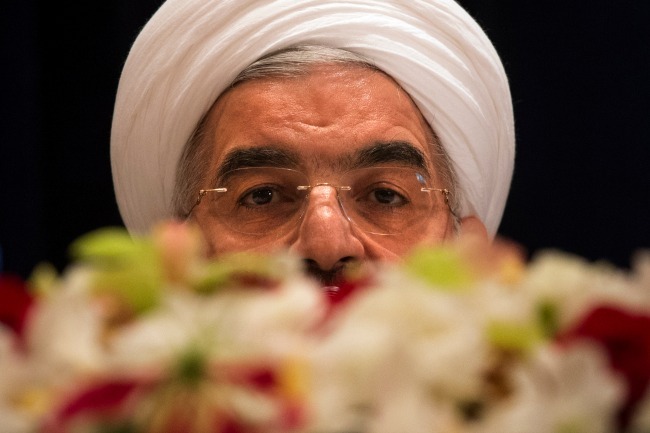 Throughout his New York “charm offensive,” Iranian President Hassan Rouhani made one demand clear: Tehran will rebuff any agreement that does not allow it to enrich some uranium. As my longtime friend, and former colleague, Scott Peterson noted in the Christian Science Monitor, Rouhani has insisted that the Iranians will not budge on this issue. Analysts argue that if Rouhani agreed to no enrichment inside Iran, it would be domestic political suicide for him. The country’s supreme leader, Ayatollah Ali Khamenei, and Rouhani himself, have repeatedly vowed that Iran will not dismantle its entire program. “Zero enrichment is not a viable endgame,” said Karim Sadjadpour, an Iran expert at the Carnegie Endowment for International Peace. Israeli officials, meanwhile, have long demanded that Iran permanently halt all uranium enrichment. They warn that enriching uranium for civilian uses creates an opportunity for illicit weapons-grade enrichment. In his speech to the United Nations Tuesday, President Barack Obama signaled that he may be willing to compromise. “We respect the right of the Iranian people to access peaceful nuclear energy,” Obama said. Watch for signs of a compromise where Washington accepts limited enrichment inside Iran in exchange for comprehensive inspections. If not, the talks will quickly unravel. Obama must win support from Congress for striking a nuclear deal with Tehran. Under any agreement, Iran will expect American sanctions to ease, which would require a vote in Congress. Skeptics argue that the Iran’s theocratic regime cannot be trusted under any circumstance and Washington’s goal should be regime change. The economic sanctions that have proved so devastating to Iran’s economy, they argue, should remain in place until its government collapses. In his speech at the United Nations, Obama flatly disagreed. “We are not seeking regime change,” he said. Can Obama convince most members of Congress to support a deal? American officials are clearly seeking Iran’s help with easing President Bashar al-Assad out of power in Syria. Washington is probably not asking for much – most likely Iranian support for an Assad-less, Allawite-dominated transitional government that will look much like the current regime. As jihadists gain strength in the Syrian opposition, the United States has less interest in the collapse of the Syrian government and army. But Assad’s continued military strength would also suggest that Iran has little incentive to compromise on Syria. Tehran’s policy of supplying Assad with weapons, Iranian advisers and Hezbollah fighters has been working. If the Iranians refuse to part ways with Assad, the Obama administration may be less willing to compromise on enrichment. A false start in Geneva? On October 15, the “P5+1″ — the five permanent U.N. Security Council members (United States, Russia, Britain, France, China) plus Germany — are again set to meet with Iranian officials in Geneva. The fact that Iran quickly agreed to the logistics of this next round of talks was unusual. In the past, determining the time and location has itself taken weeks. Rouhani said on Friday that Iran would present a plan in Geneva to resolve the decade-long nuclear dispute. If more vague proposals and delaying tactics emerge, expect momentum to slow radically. For Rouhani, and to a lesser extent, Obama, speed is of the essence. Both leaders face stiff challenges from their right on any potential nuclear deal. Iranian Foreign Minister Mohammad Javad Zarif said in New York that Iran was interested in reaching an agreement — and implementing it — within one year. Rouhani and Obama must produce a credible deal within six to nine months. If not, both leaders can expect to be accused of capitulation by their critics. On Monday, Israeli Prime Minister Benjamin Netanyahu will meet with President Obama in Washington. Any shift in Netanyahu’s deeply skeptical comments about Rouhani could be a sign that Iran is offering a more substantive proposal in private. In the end, any breakthrough will depend on the exact restrictions Iran would accept on its nuclear program — none of which emerged in Rouhani’s New York public-relations blitz. Sadjadpour, the Iran expert, said major concessions could win limited Israeli support. Watch closely. Those “ifs” will be answered in the weeks ahead. Then Rouhani’s New York trip — and phone conversation with Obama — will emerge as either historic or empty.